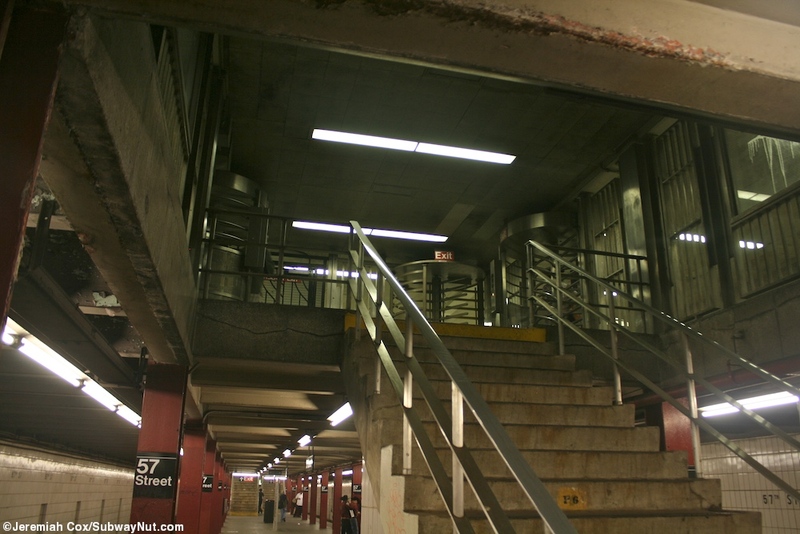 The stop has tons of street stairs and a full length mostly outside of fare control mezzanine that still looks straight out of the 1960s with little 57th St written on the tiles of the grey walls of the single island platform that serves the two track line, on the platforms there are two lines of maroon painted tiles but on the mezzanine level these become silvery metallic columns. 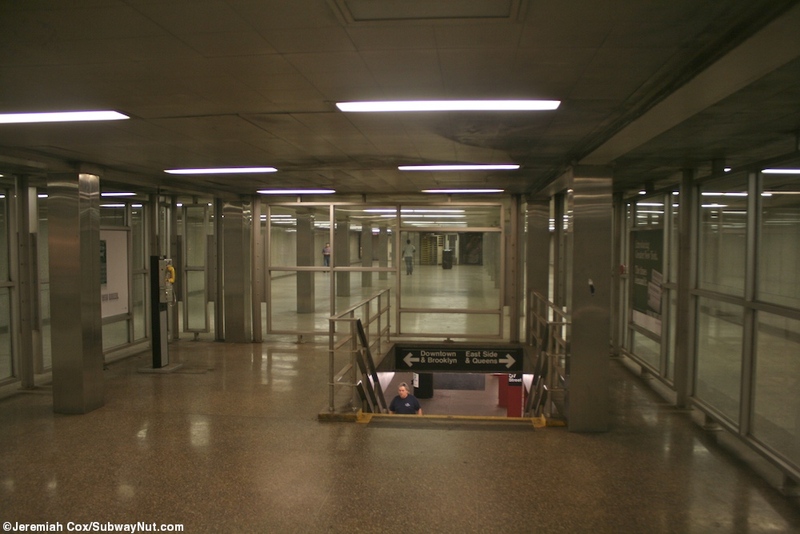 To reach the mostly outside of fare control mezzanine in the middle there is a single token booth that serves two separate banks of turnstiles into small glass enclosed area where each as two staircases down to the platform. 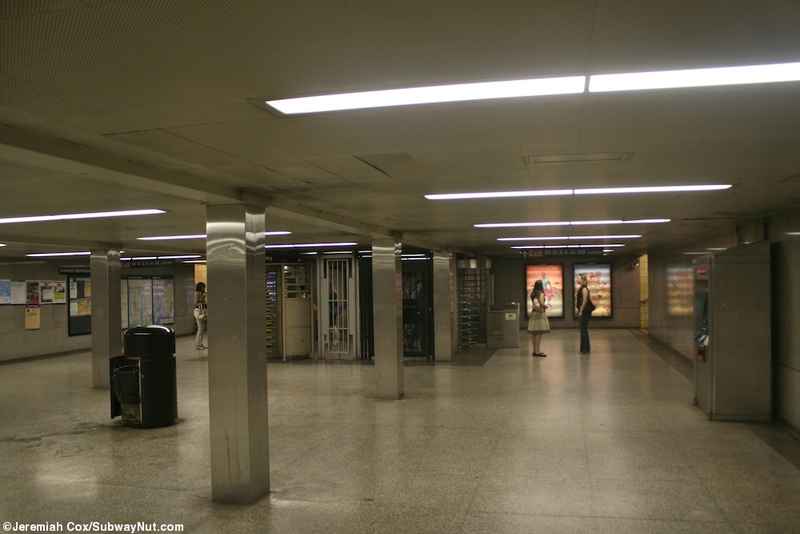 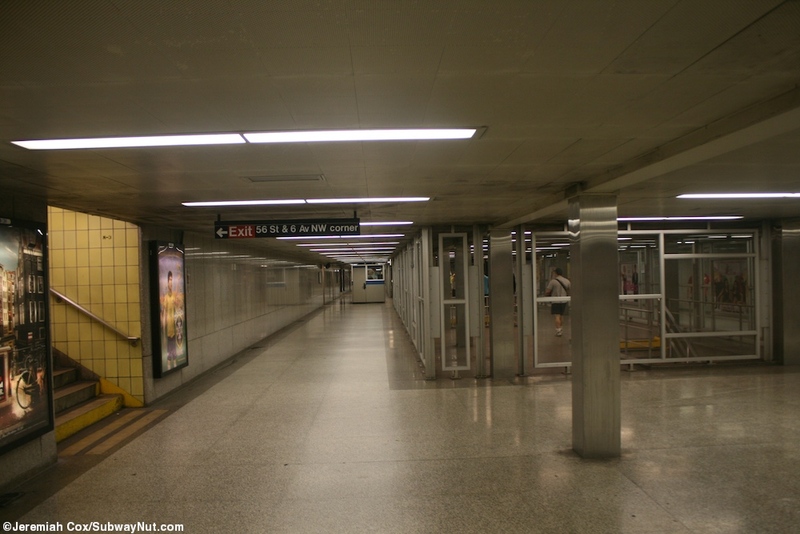 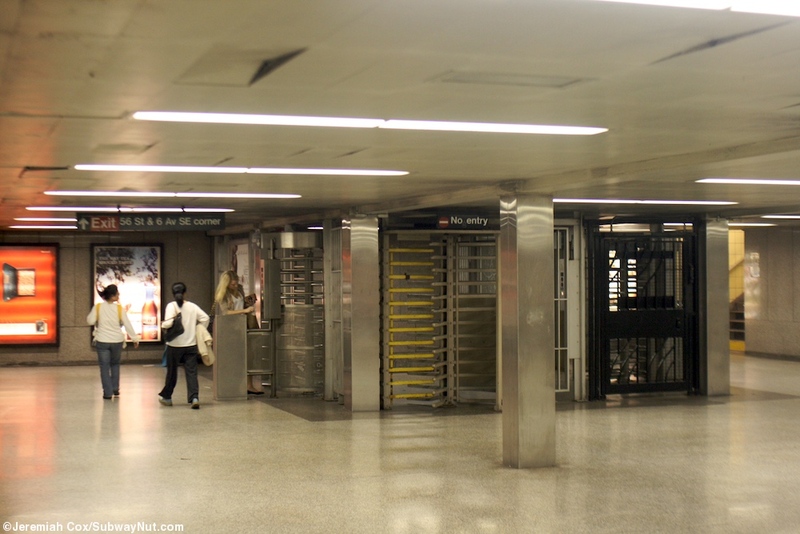 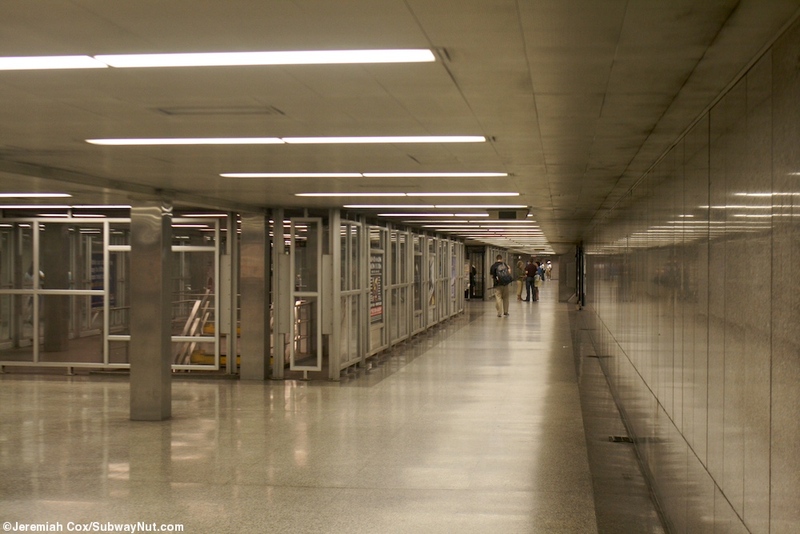 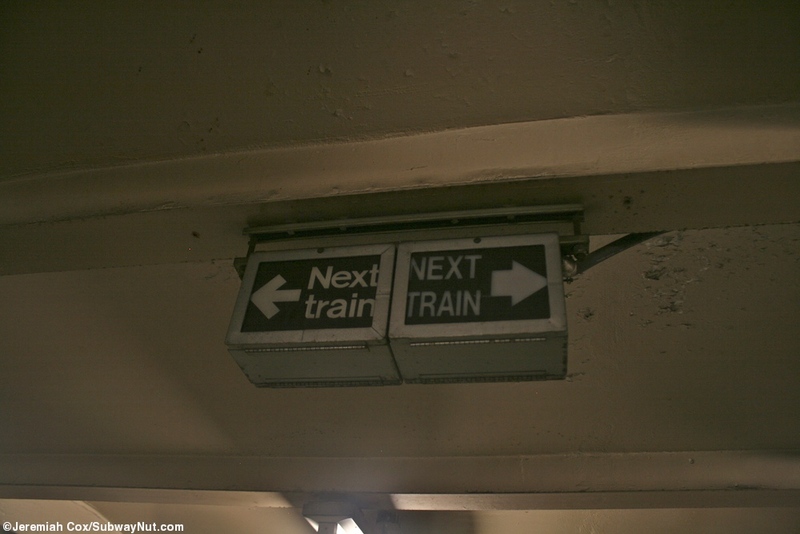 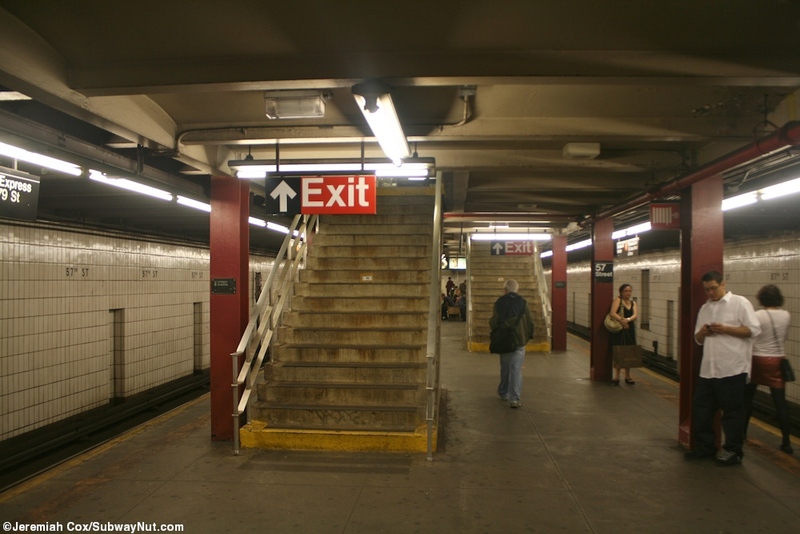 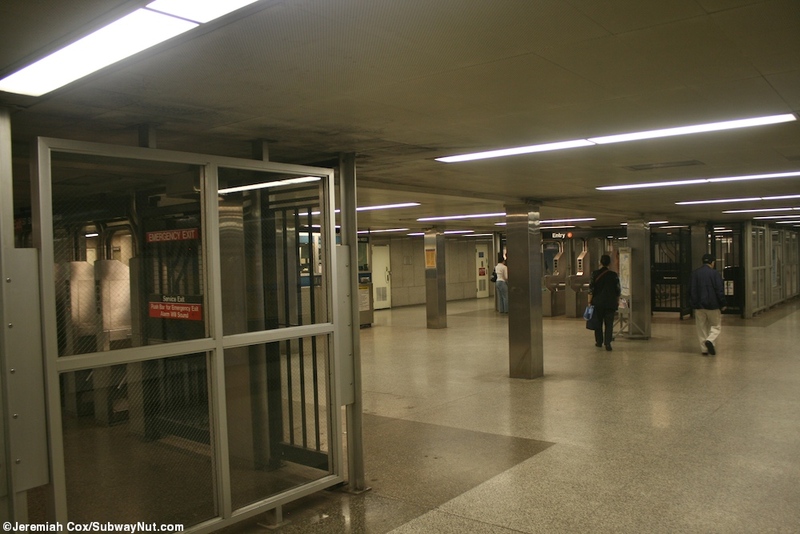 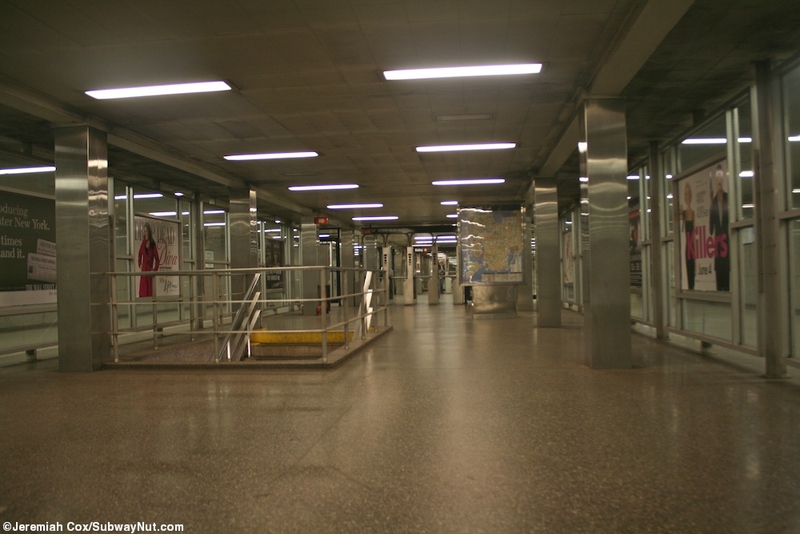 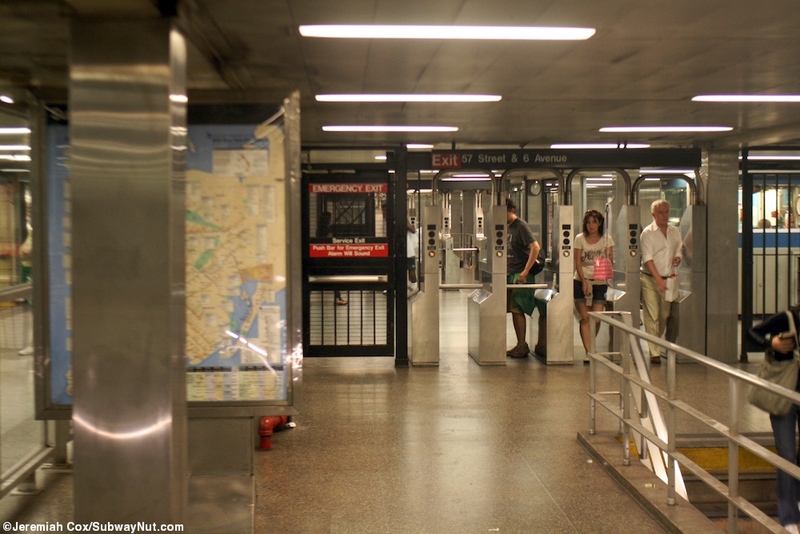 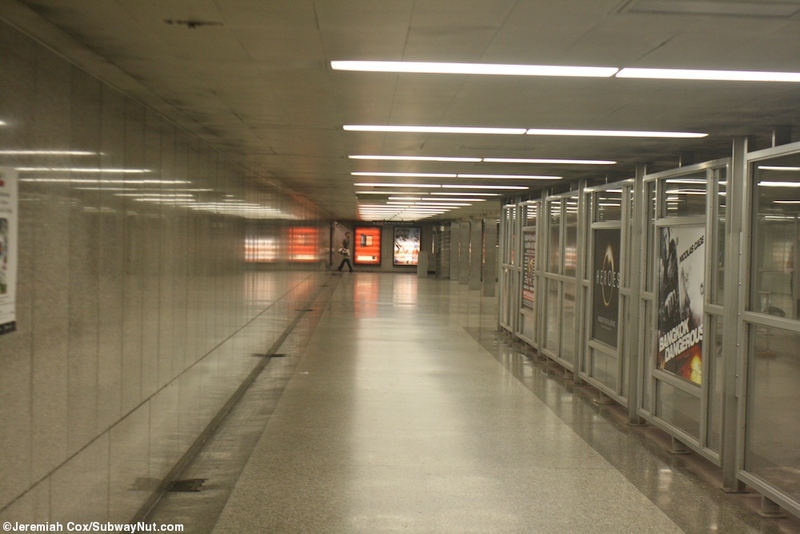 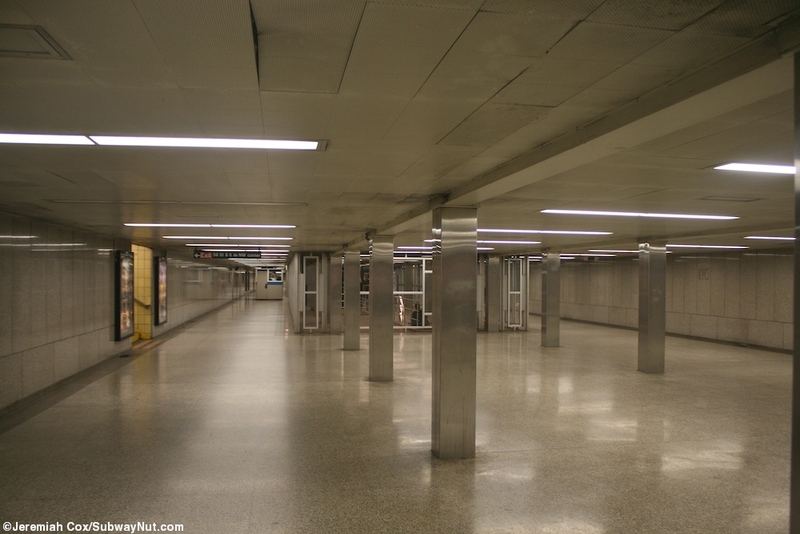 At either end of the platform there are additional entrances that were originally only exit staircases: A single staircase leads up to a High Exit Turnstile and two High Entrance/Exit Turnstiles. 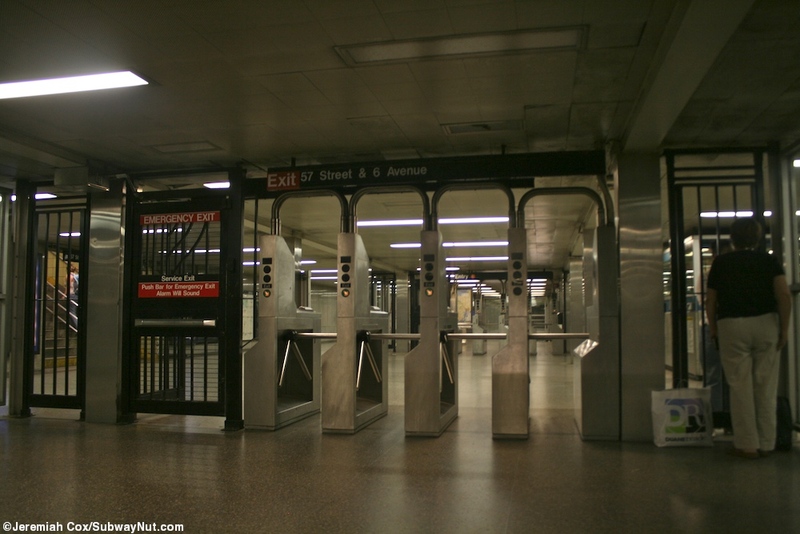 Some TVMs are available to avoid the walk down to the token booth. 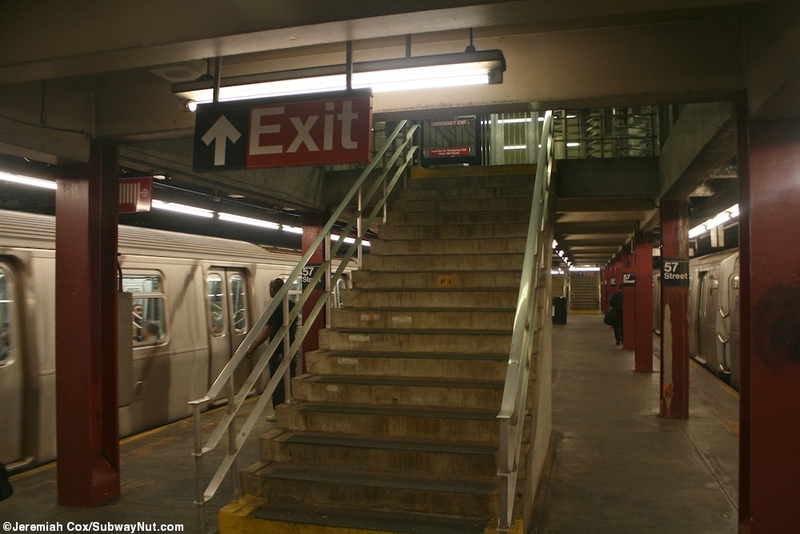 To access this mezzanine there are a total of 8 street stairs, each of a rather unusual type with simple boxy sides of medal and a narrow (maybe three inches along each side) post that says Subway on it to indicate the entrance. 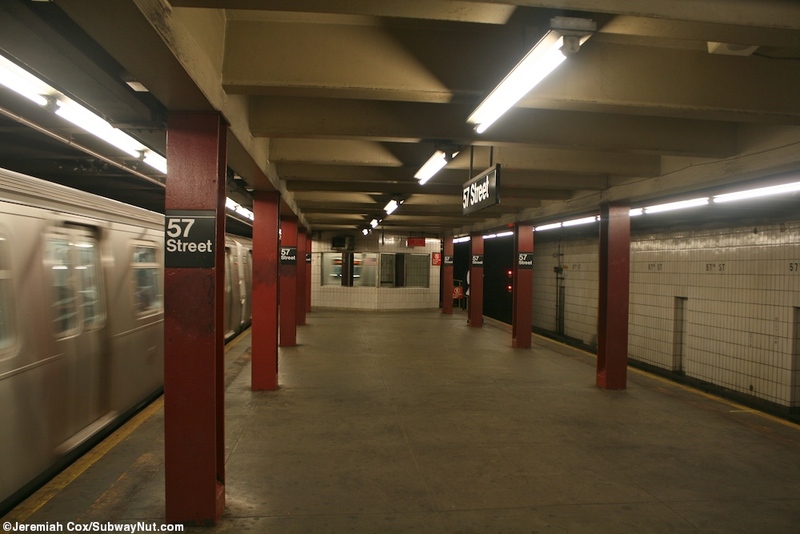 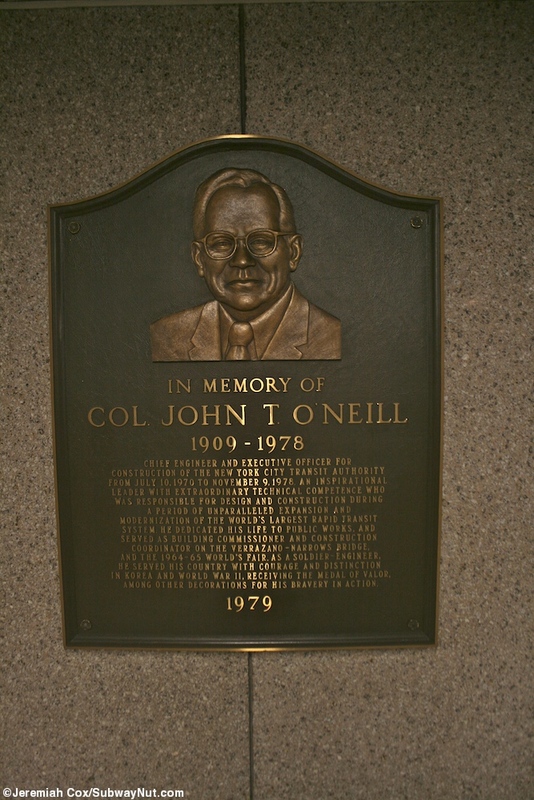 All are situated directly on the sidewalk of 6 Avenue. 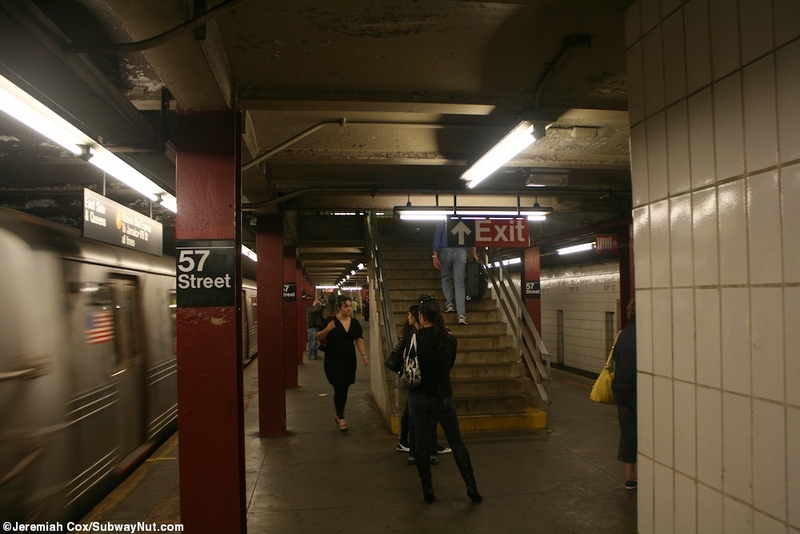 Beginning from the south there is a single street stair on each side of 6 Avenue just south of 56 Street. 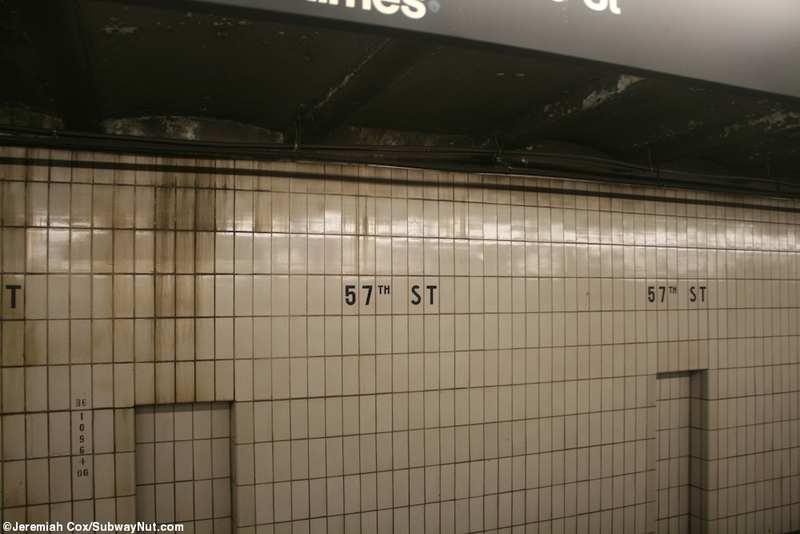 Continuing north there is one right at the NW corner of 56 Street, two midblock on the east side of the street, and one on the SW corner of 57 Street. 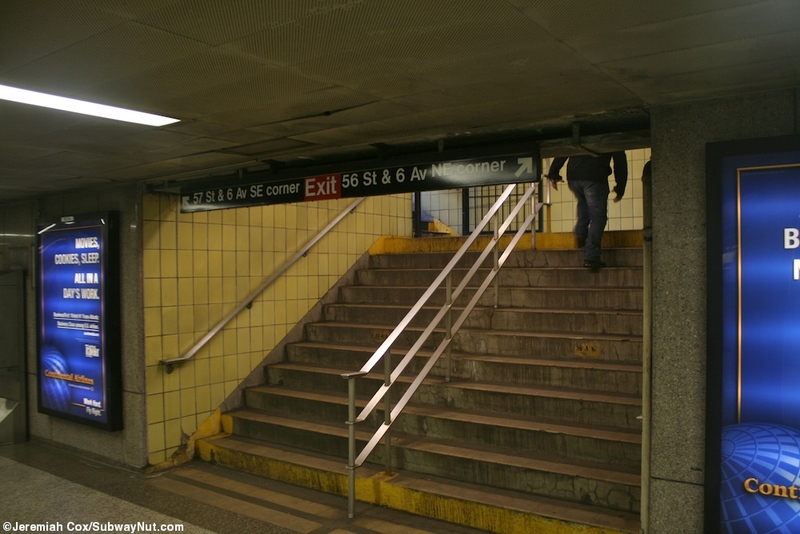 The final two street stairs are on each side of 6 Avenue about a third of the way up the block from 57 Street towards 58 Street.